We're welcoming new AmeriCorps Member Bridget Patterson to our construction team. Thank you to all of our 2018 volunteers and financial donors who helped make the Jimenez home possible. Whether directly or indirectly, every individual contribution to our organization helps families achieve the dream of homeownership. We’re looking forward to partnering with five new homeowner families in 2019. 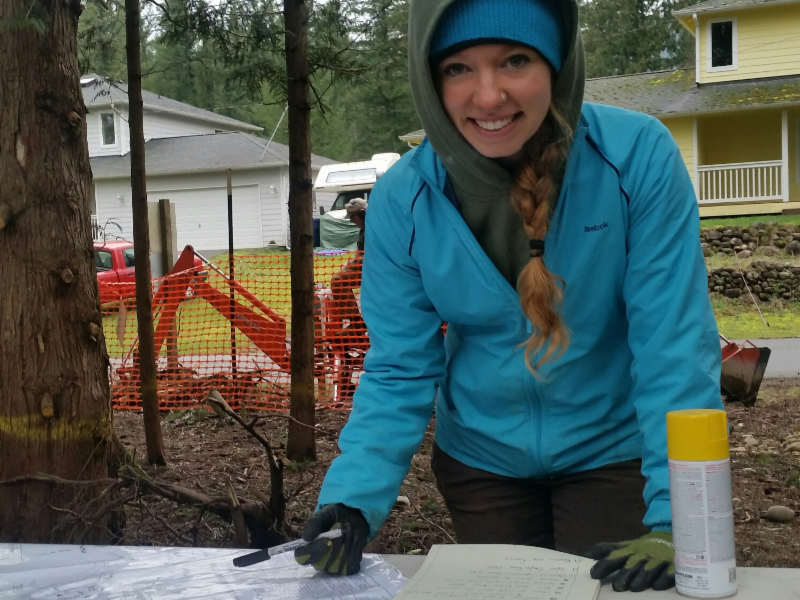 Bridget Patterson joined Habitat for Humanity of Snohomish County in January as our new Construction Crew Lead AmeriCorps member. This is her second year as an AmeriCorps member, following a term with a nonprofit in Iowa providing weatherization and energy education to homeowners. In addition to leading crews on our build site, Bridget plans to develop a weatherization program for our Habitat affiliate and an environmentally-conscious waste management program for our construction sites. On Martin Luther King Jr. Day, AmeriCorps members across the country are required to participate in a day of service outside their typical role. 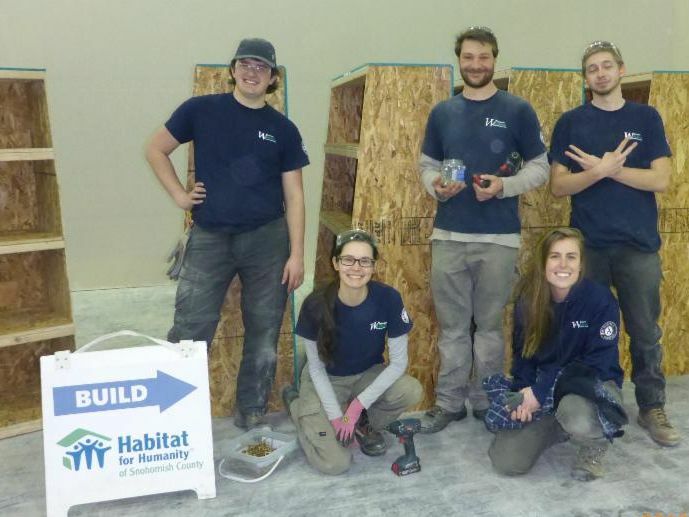 Our affiliate had the opportunity to host an MLK Day of Service project for a team from Washington Conservation Corps! 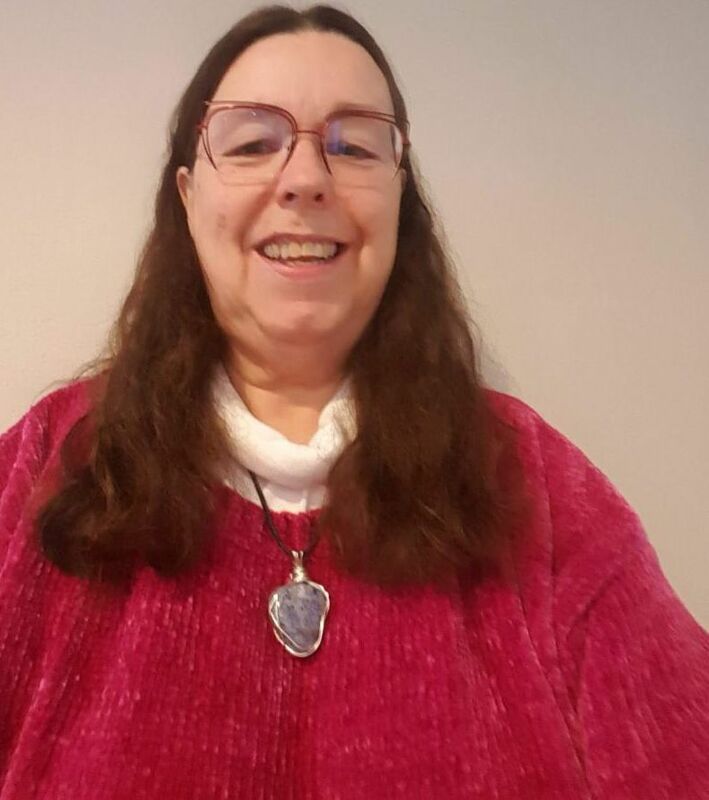 Sharon Martin has volunteered in the Habitat for Humanity of Snohomish County administrative office for nearly two years. One of Sharon’s primary roles is to orient and train new office volunteers. Every Monday morning, Sharon shows up, works on office projects and ensures phones and emails are answered. She’s helped develop a front desk training manual and she knows how to make new volunteers feel welcome and comfortable. Sharon teaches volunteers how to answer phone questions and assist walk-ins, use our software and complete ongoing front desk projects. We may need donations of sunglasses! 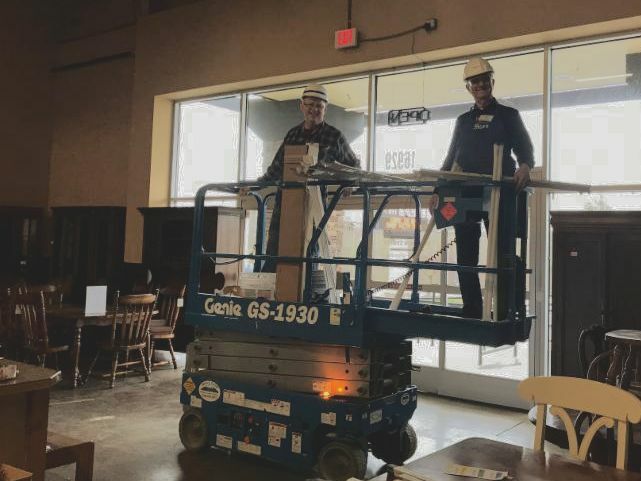 Two of our longtime volunteers installed new energy-efficient LED lights in the Lynnwood Habitat Store. Thanks to Tom Poe and Earl Shafer for spending several days on this special project placing the lights funded by a generous donor. It’s almost like summer in here, break out the SPF! We are always looking for new volunteers. Please sign up to attend an orientation and start volunteering. Lynnwood Habitat Office: Feb. 19th at 4 p.m.
Everett Habitat Store: Feb. 12th and 26th at 4 p.m. Interested in helping behind the scenes? If you have time and expertise to share, we currently have opportunities to apply for our Board of Directors and/or join a volunteer committee. Committees include Resource Development, Faith Relations, Veterans Build, Construction, Family Services and Real Estate. For more information and a description of these opportunities, please contact Katie Rickel at krickel@habitatsnohomish.org.